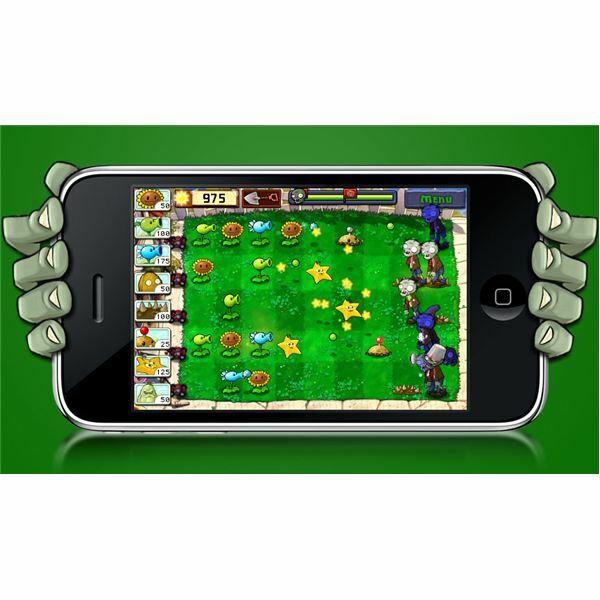 A review of the new hit game for the iPhone and iPod Touch; Plants vs. Zombies is currently the top paid app on iTunes! 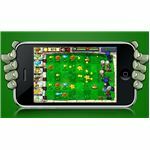 After great success on the PC, Popcap Games' Plants vs. Zombies has scored a huge hit with iPhone and iPod Touch users. This game is currently the number one top paid game in the iTunes store, as well as the number one overall paid app. It should be no surprise that this game is also the number one top grossing app on iTunes. Needless to say, it’s the most popular thing in the App Store right now even though it was just released on February 15, 2010. It currently sells for $2.99. This game is fairly simple to learn, but has an addictive quality about it. I’ve seen plenty of other games in the App Store that mimic its gameplay, which is, at its heart, tower defence. Basically, you use plants to defend your home from a zombie attack. 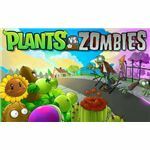 You do so by planting these various plants so that their different abilities thwart the attacking in ways that prevent zombies from reaching your house. You will have to plant some kinds in order to get sunshine points faster, and use the points to plant more aggressive garden elements. If you don’t put up enough defenses, the zombies will reach your house. As the game goes on, it gets progressively more complex. 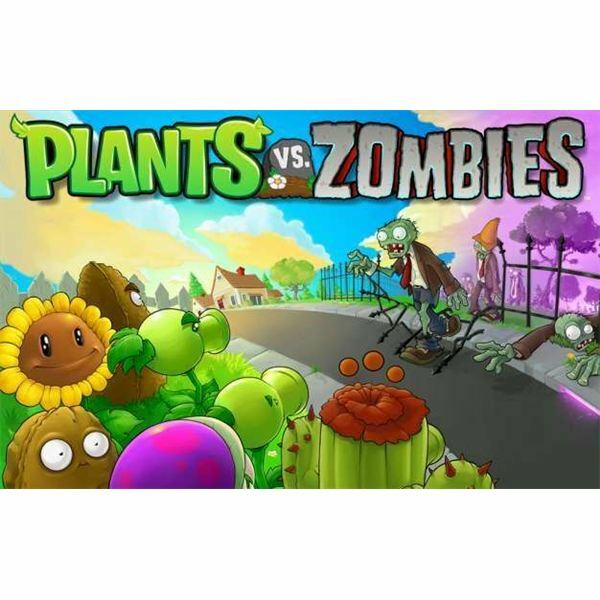 You will wind up with 49 different plants to choose from, but only so many at one time, and the right combination of offensive and defensive plants is what you need to survive the 26 different kinds of zombies that come for you. Because the game slowly builds up, you can easily learn the basics before it starts getting serious. It also unlocks new plants one at a time, giving you a chance to learn how to use them. Each level only takes a few minutes to play through, so this is the kind of game you can pick up and play for a quick break, or settle in with for a long flight. Even the of complexity of the playing field increases as the levels go on. Despite the whole zombie theme, this game is too cartoonish to be considered gory and there is no blood. The plants shoot the zombies until their arms and head fall off, but it’s kind of cute instead of horrific. I still wouldn’t let very young kids play this game, but for the most part it is pretty harmless. 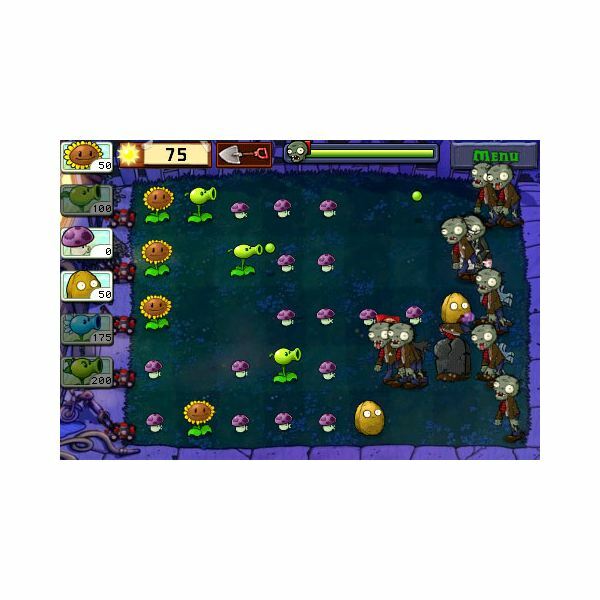 The plants are all visually represented in ways that help you remember what they do, and the zombies come with a variety of shields and things to make them more difficult. For example, you’ll regularly see zombies with traffic cones on their head, plus another one who carries a window screen. Respectively they are armoured and sheilded: One is tough; the other is very tough, but can be attacked effectively from behind. The sound effects in this game are pretty decent although I admit to playing most iPhone and iPod Touch games with the sound turned way down or off. You’ll hear lots of little ‘plop’ type effects from the plants shooting and hitting targets, which can get repetitive after a while. As far as performance goes, I did notice the game would slow down just a tad when a whole bunch of stuff was on screen. It didn’t affect the gameplay, but there is a noticeable hiccup especially during the last big wave of zombies that comes at the end of some levels. 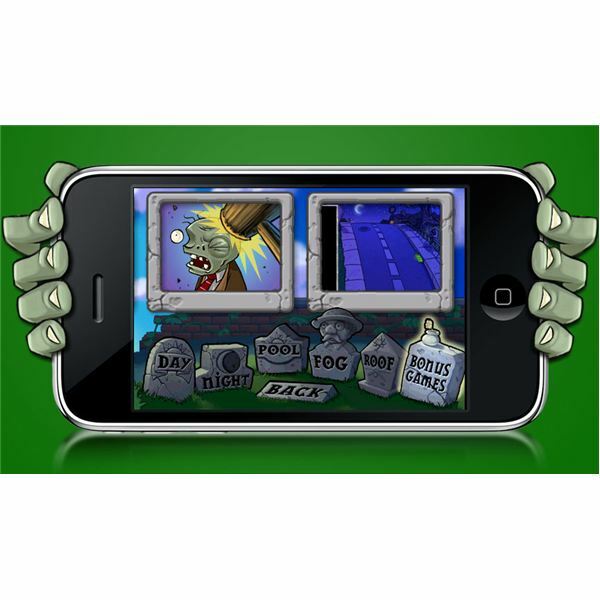 It’s hard not to like Plants vs. Zombies for the iPhone and iPod Touch. This game takes a very simple game mechanic and slowly builds on it as you progress through the levels, so much that it becomes quite addictive. If you haven’t played this yet, I highly recommend that you check it out. It was also a hit on PC & Mac. 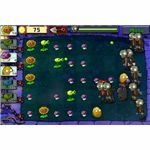 Our Plants vs. Zombies for PC review is here. A review of the Mac game is here.